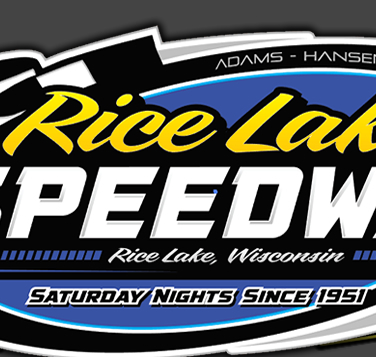 RICE LAKE, WI (September 1) - A last corner pass by Cory Mahder in the Modified thirty lap main event highlighted the second half of the holiday doubleheader at the Rice Lake Speedway that put a wrap on the 2013 racing season. Other winners on a cool and blustery Sunday night included Jason Forehand, Ryan Viltz, Jimmy Randall and Jason Havel. While Mahder was the driver that took home the biggest check, it was Jesse Glenz that controlled the Modified feature race for most of the distance and until the very end, appeared to be ready to score the win. Mahder started on the pole and took the early lead but Glenz went to the cushion immediately and began to gain ground. Jesse continued to ride the high side around the track and after he picked up momentum, he was ready to make his move. Two straight yellows for minor spins with one lap completed kept the field bunched, but after that the last twenty nine laps ran nonstop and Glenz soon used the high side to blast past Mahder down the front chute and start to pull away. As Mahder soon had to battle with Matt Leer for second, Glenz began to disappear from the pack as he built up nearly a straightaway advantage over the field. Leer challenged Mahder strongly and attempted a slider into turn one to slip past but Mahder fought back down the back chute and retook the second spot. After that, Leer feel back slightly but was still close to Mahder. As the race continued, lapped traffic was heavy and became an issue. Glenz was having trouble getting through some of the slower traffic and while he continued to hold the top spot, Mahder was slowly cutting into his advantage. As the laps started to wind down, Glenz got in some deep traffic and Mahder started to cut the advantage at a rapid pace. Jesse was stuck behind two cars he couldn’t get past, and he had to reduce his pace accordingly as Mahder smelled blood and closed even more rapidly. As the white flag flew, Jesse knew that Mahder was right behind him, but he was still blocked. He attempted to pass the slower cars on the high side but when he couldn’t accomplish that, he ducked low to block the third turn. Mahder went to the high side and pulled beside the leader. As they raced out of the last corner, Glenz put the horn on the slower car in front of him and moved him to the infield, but this cost him time and Mahder found an opening on the high side, was able to keep his speed up ,and passed the leader in the last few feet before the finish line, winning by just over a car length in a startling turn of events. Leer finished a strong third, Mark Hessler moved up strongly to finish fourth and Scott Miller completed the top five. Forehand and Aaron Wilson battled in out in a competitive Super Stock main event with Forehand overcoming the early lead established by Wilson. Aaron had taken the lead right from the start but was challenged by Eric Olson, Jesse Redetzke and Forehand in the initial part of the race. Redetzke was using the high side of the track and nearly edged past Wilson before the next challenge came from Forehand who was working the low side of the track. He made a strong dive into turn one and beat Wilson out of the corner to take over the lead. Several yellow flags spread out over the race kept the field bunched and never allowed Forehand to build up any kind of lead as Wilson continued to try and get the lead back with Olson challenging also and Redetzke continuing to climb the banking. A late yellow set up a two lap sprint to the finish but Forehand restarted strongly and moved out to a two car length lead and he refused to allow Wilson to get any closer and they finished in that order. Olson remained strong in third with Redetzke next in line while Scott Zitelman, after falling back in the pack made a late charge and raced back up to fifth. The Midwest Modified feature was a race long battle between the brothers Viltz, with Ryan coming out on top of Tito for the win. Jake Smeltzer started on the pole and was battling with Mike Truscott in the early going but when he left the bottom side of the track open, Ryan Viltz dived to the opening and got a good run which allowed him to move into the lead. Tito, on the other hand, was working the high side of the track and he quickly powered around traffic to move from the third row into a challenging position and began to attack his brother. Tito tried several times to edge past Ryan on the high side but couldn’t quite get past. However, a few laps later, Ryan would slide off the bottom in turn two and Tito cut to the inside and stole the lead away from Ryan. Yellow flags would prove to be Tito’s undoing as after a restart for a spin, Tito would push too hard into turn one and slid up the track, opening up the inside to his brother, who then regained the lead. After a lap fourteen yellow when Don Drew slapped the wall, the six lap shootout saw Tito try everything he could to regain the lead, but Ryan was equal to the task as he raced home for the win. Truscott finished a strong third while Jake Smith established himself in fourth early and stayed there the entire race. Travis Anderson got the hard charger award after coming from nineteenth to fifth on his birthday. The Street Stock feature was expected to be a two car shootout between Sam Fankhauser and Jimmy Randall and that’s exactly how it played out. They started beside each other in the front row and on the first lap swapped positions as Fankhauser pushed up the track from the low side in turn one and Randall cut under him as they raced down the back chute. Side by side for the lead, Fankhauser edged ahead with Randall running just to his inside and challenging in each corner. Several laps continued in this fashion and while the leaders battled, they seemed to be slowing each other down as third running Ron Hanestad was catching both of them. Sammy slipped a little too high in turn one and Randall was able to squeeze past him to take over the top spot with Hanestad close behind. A yellow flag set up a seven lap race to the finish and while Randall continued to run the middle of the track, Fankhauser found some traction very low on the track and he started to close on the leader. Each lap he closed up just a little and he tried to nose under Randall on several attempts. Sammy looked like he was ready to make a big move on the final lap, but as the leaders took the white flag, a slow car was running the low side of the track, right in Fankhauser’s way. He had to get out of the accelerator briefly, and that was the race as Randall drove on to take the win with Fankhauser a couple car lengths in arrears. Hanestad finished a strong third ahead of Jay Kesan while Adam Soltis came from deep in the field to complete the top five. Another last lap pass for the win occurred in the Pure Stock feature where Havel got past C.J. Wagner on the final tour for the win. Nick Traynor started strongly and he looked to be in control of the race in the early going as he endured a couple of early yellows to maintain the lead in the race. Both Havel and Wagner moved in on Traynor but Nick continued to hold the lead in what shaped up to be a battle to the finish. Bad luck hit Traynor as just when the other two challengers caught him, his car developed motor problems and he lost power, slowing and was soon out of the race. Wagner took advantage to take over the lead at this point, but Havel was close behind. Jason moved to the second groove, and he pulled up beside Wagner and was ready to take over the lead when just then, the yellow flew for a spin. This set up a two lap sprint to the finish and Havel was able to once again execute the same move. While Wagner pushed as hard as he could, Havel was able to drive around him on the final circuit and took the win by a car length over the track point champion. John Erickson came home third with Bob Thompson and Randy Graham next in line. 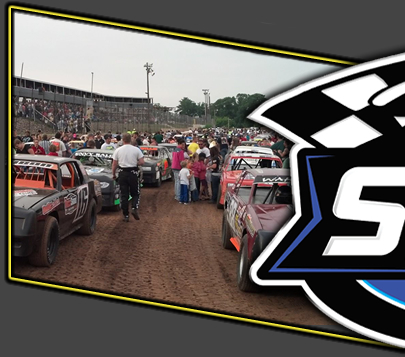 This race concluded the 2013 racing season at the speedway. Racing is expected to resume in the early part of April, 2014. 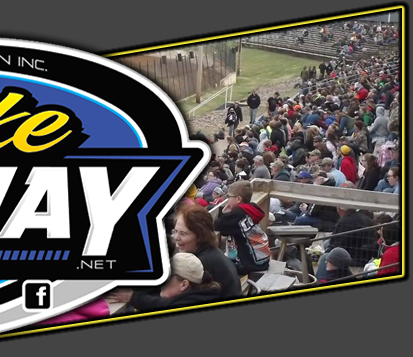 Race fans can follow the off season happenings at the speedway on the track website, www.ricelakespeedway.net to find information on the track’s banquet and next year’s schedule.